Selling your property is an important process. One which involves several vital factors in order to ensure you get the best possible price for your home. While there is the possibility of selling a house yourself, it always pays to get the knowledge of the experts to be in with the best chance of a good sale. Estate agents, for example, should have years of experience in selling houses and know the market well. They should also know where to promote your property and be able to guide you through the process from start to finish. But, how do you know you’re choosing the right estate agents in Leicester to sell your property? After all, if you have someone who doesn’t know what they’re doing or doesn’t seem interested, then you might as well be doing the work yourself. The answer is to ask all the right questions in the very beginning. Get recommendations and even references and have a face to face conversation with a local agent who you know, knows the area well. 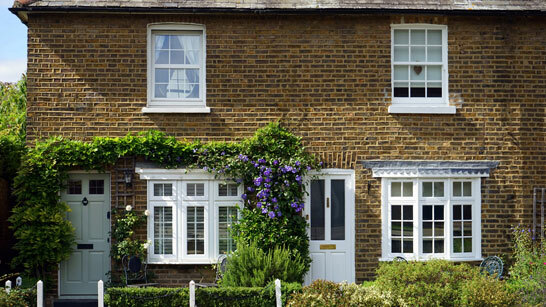 Can they suggest home improvements that might enhance the potential selling price? Are there any other costs involved on top of this? What price do they think they could get for your property? How quickly would they be able to sell it? Are there many similar houses on the market like this at the minute? What makes those properties stand out as being particularly special? Can they recommend a good conveyancer? What are they like at communication? If you expect to be updated regularly, do they have the capacity to do this and in which way (eg email, phone call etc)? How and where will they market your property to the best effect? NB – make sure this includes marketing it online on sites such as RightMove. What type of contract do they use and what does it involve? Eg. can you go with multiple estate agents and is there a tie in period involved? How will they deal with things if you don’t agree on something? It’s important to check that the mutual respect is there and you feel you can work well with your estate agent. Once you’ve asked these kinds of questions, it will quickly become apparent whether the estate agency and agent are the right ones to sell your property. Then, from the very start, you can go ahead in the full knowledge that what is, quite possibly, your biggest asset is in good hands. The same applies if you’re renting a property out for the first time and could do with some good landlord advice. To find out more about the Leicester estate agency services we provide, get in contact with a member of the Readings team today for a friendly chat.